The use of free and open source software presents a large number of advantages for organizations : independence from traditional publishers, adaptability, sustainability, etc. For the past few years, its adoption was accelerated because of its growing strategic nature and market pressure. In the digital age, free software become a true business differentiator, and not taking advantage of it to strengthen professions is a real risk for hesitant or refractory organizations. As a consequence, many actors gradually establish good practices relying on international standardization processes, deployment of specific tools, or the design of standards. 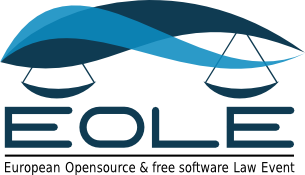 These good practices enable the organization to respect licences, but above all to fully benefit from free and open source software by focusing on its own added-value. In this context, increasingly integrated in industrial processes of open source user and producer organizations, the conformity management has now acquired a strong maturity thanks to numerous international initiatives of standardization and automation. Resolutely turned towards this thematic, the edition 2018 will allow to report the state of progress of these different works and to anticipate the next major evolutions of the area. A hands-on session to use Fossology (licence & IP evidence detection). This session will be divided into 2 workshops of 1 hour each. Bring your laptop with you ! Comment la standardisation et les bonnes pratiques peuvent-elles aider votre organisation à atteindre les objectifs de mise en conformité ? Comment l'évolution du droit aide-t-il les gouvernements à tirer parti de l'Open Source dans leur transformation numérique ? Une session pratique d’utilisation de Fossology (détection de preuves de licence et d’IP). Cette session comptera deux ateliers d’une heure chacun. Apportez votre ordinateur portable avec vous !